Joe Terry served in the U.S. Navy from 1971-1975, ending with a tour in Vietnam and receiving an honorable discharge in 1975. He received his Bachelor of Music Education degree from the University of Montevallo in December, 1978 and was hired as Assistant Band Director at Vestavia Hills High School in 1979. From 1979 through 1989, Mr. Terry designed the Marching Band shows, instructed the VHHS Colorguard, conducted the Concert Band, Spring Musical Orchestras and assisted at Pizitz Middle School. His colorguards and bands consistently won “Best in Class” and received Superior ratings at District, State, and out of State Band Festivals. In October, 1987, Mr. Terry was involved in a tragic automobile accident that left him in a coma for 16 days. After trying for over a year to return to teaching, he had to retire from full time teaching in 1989. Over the years, by the grace of God, he has been able to return to teaching at various middle schools and high schools, critiquing/conducting bands, and instructing individuals and sectionals. Mr. Terry is a member of the National Association for Music Education (NAfME), Alabama Music Educators Association (AMEA), Alabama Bandmasters Association (ABA), The National Band Association (NBA), and Phi Beta Mu. He is a member of Shades Mountain Community Church and enjoys playing golf and fishing. He is privileged to assist the Band Directors at OMHS and OMMS, teaching some of the most amazing students in Alabama! He finds nothing more satisfying than seeing them achieve their musical goals and watching them grow into outstanding young men and women. In 2008 Mr. Feldman joined the Oak Mountain High School faculty where he has taught Geometry and served as the “Spirit of Cahaba” brass specialist. He has also served as the sponsor for the colorguard, winterguard, majorettes, and is currently the visuals coordinating director. “Feldy” is an Oak Mountain High School alumnus and was a member of the Eagles’ first graduating class in 2000. He played the sousaphone in the first “Spirit of Cahaba” marching band, trombone in the jazz band, and euphonium in the Wind Ensemble under the direction and tutelage of the esteemed Mr. Jim Duren. As a graduate of Auburn University, Mr. Feldman received his Bachelor of Science degree in Finance, with a minor in Music. He is currently working on his Master’s in Math Education, and toward a Doctorate in Educational Technology. While attending Auburn, he played the bass trombone, tuba, euphonium, and tenor trombone in various ensembles including Symphonic Band, Concert Band, Campus Band, Jazz Band, Orchestra, Pep Band, and the Auburn University Marching Band. Mr. Feldman was also both lead and bass trombonist for the Auburn Knights Jazz Orchestra from 2001-2008. An important aspect of his life is family — his wife Bragan (a realtor and expert nose flute player), two children (Grier, Miss America 2029 and Barrett, 2032 Heisman Trophy Winner), two cats (Cleopatra Beyonce “Cleo” and Marc Antony “Twaney”), and one dog (a beautiful golden doodle, Biscuit). Outside of his professional interests, Mr. Feldman enjoys Auburn Football, golf, working out, and becoming involved in their new church home, Chelsea Village Baptist Church. David Vaughan is the Worship Pastor at Meadow Brook Baptist Church here in the Oak Mountain community. He is the husband of Jill, an elementary school teacher in Shelby County and the father of Jackson and Ella, both a product of Oak Mountain schools. Mr. Vaughan has been a part of the Oak Mountain High School band family since 2013. He is a graduate of Samford University with a Bachelors of Music degree and the Southern Baptist Theological Seminary in Louisville, KY with a Master’s degree in Church Music and Conducting. While pursuing his education, he was involved as the principle trombone in numerous bands, orchestras, jazz bands, and ensembles. Since then Mr. Vaughan has played in a number groups including both professional and community orchestras. In Birmingham, he has played with the Red Mountain Orchestra, Super Jazz, and many church orchestras. 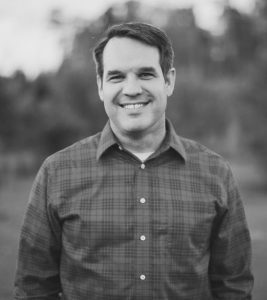 David enjoys serving Christ, being with his family and serving the people of Meadow Brook Baptist and the Oak Mountain community. He counts it a privilege to be able to work with the outstanding Oak Mountain High School Band. Chris Diffey has been happily married to Patricia since June of 1996. He is the proud dad of one daughter (Morgan) and two sons (James and Matthew). Chris has enjoyed serving as the Minister of Music and Worship at Lakeside Baptist Church since November of 2004. Mr. Diffey achieved both a Bachelor of Music and a Master of Music with an emphasis in Church Music from Samford University. While at Samford, Chris was involved in several ensembles including the marching band, the wind ensemble, trombone choir, tuba choir, and two brass quintets. He also sang with the A Cappella Choir and University Chorale. Chris played trombone in the last two live band performances for Step Sing, where he met his wife. Chris Diffey enjoys worshiping the Lord, spending time with his family, serving his church family, and assisting with the Oak Mountain High School Band. There really isn’t much time to do anything else, but there really isn’t anything else he wants to do. Jessica joined the Oak Mountain family in 2014. She teaches Forensic Science and serves as the sponsor for the OMHS Dance Team, the Starlettes. Mrs. Di Piazza grew up in Gulf Shores where she danced for 8 years and in high school played the clarinet in the marching band and wind ensemble. 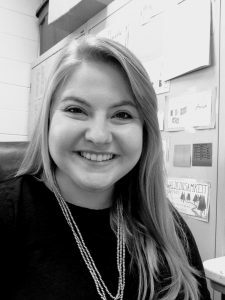 Ms. Di Piazza is a graduate of the University of Montevallo, where she earned her Bachelors degree in Biology (2011) and her Masters in Secondary Education (2014). She was a member of the UM wind ensemble and Clarinet Choir for a year and a half and was active in many other activities on campus, such as Alpha Gamma Delta sorority, College Night, intramurals, and served as a tour guide for the Admissions Office. Jessica is married to David, has three dogs: Emma, Rosie, and Brinkley, and loves Mexican food. Mrs. Sheffield joined the faculty of Oak Mountain High School in 2014. Since then, she has taught all levels of Latin as well as sponsored the school’s Junior Classical League chapter and the Latin Honor Society. Mrs. Sheffield is a graduate of Oak Mountain High School and played the flute and piccolo in the Spirit of Cahaba Marching Band and Wind Ensemble. She received both her Bachelor’s degree in Latin (2014) and her Master’s degree in Secondary Education (2017) from the University of Alabama. Mrs. Sheffield and her husband, who is also an Oak Mountain teacher and coach, enjoy traveling, cooking, being outside, and eating sushi. Mr. Nelson is the Percussion Specialist at Oak Mountain High School and Middle School, Thompson Middle School and Sixth Grade Center, and an assistant instructor at Helena High School. He has been a member of the “Spirit of Cahaba” staff since 2014. After graduating from Oak Mountain High School in 2013, he studied percussion under Dr. Grant Dalton at Samford University. 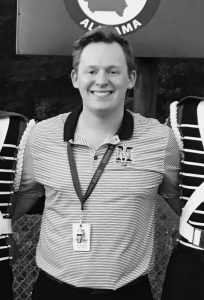 Mr. Nelson graduated from Samford in 2016 with his Bachelor of Music degree in percussion performance. He is currently in the process of completing his Master’s degree in Music Education, also from Samford University. While in school, he was the principal percussionist in the Samford Wind Ensemble and Orchestra. In addition, he was a member of the Samford Percussion Ensemble and played for many theatre productions. In Birmingham, he has played with numerous professional groups as well as multiple church orchestras. He is currently the percussionist at Meadowbrook Baptist Church, and maintains a full, selective studio of percussion students.